As an investigative journalist, Robert Parry has spent his life dealing with facts and evidence. His book, Secrecy and Privilege, is one of the great contributions that he has offered. That book covers several important events in the last thirty-five years of US history that have been downplayed and covered-up by the mainstream media. Parry’s work shows that he is clearly one of the most careful writers in terms of not extending evidence beyond what it says directly. He takes that approach so seriously that oftentimes he cannot say anything directly himself, and appears to be perpetually waiting for a confession before taking a stand. This latest article takes that position to an extreme, suggesting that the evidence of what happened on 9/11 should not be examined at all until we have confessions from the perpetrators. The second program that Parry clued us into was President Reagan’s office of disinformation, better known as the National Security Council’s Special Planning Group for “Public Diplomacy.” This was run by long time CIA propaganda veteran, Walter Raymond. What began as an attempt to gain the public’s support for funding the militant groups in Central America grew into a powerful force for lying to the American public that appears to live on to this day. In his own recent, over-the-top anti-truth screed, “The 9/11 ‘Truth’ Parlor Game”, Parry exhibits the same disdain for facts and evidence that he attributes to these right-wing propagandists. Parry uses the derogatory term “truthers,” which he continues to put in quotation marks throughout the article, when referring to the people he is criticizing. This indicates that he knows he does not have the facts and evidence on his side and instead must resort to name-calling. Many 9/11 truth advocates, like myself, find this term to be offensive yet the corporate media and Robert Parry often use it in order to belittle us without addressing the evidence. Both of these claims are false and can easily be discounted with minimal investigation into the facts. In the seven years I have been seeking the truth about 9/11, I have never heard anyone claim that “President Bush” directed the wiring of 100-plus floors of the WTC towers with explosives, and the evidence does not suggest that at all. The evidence suggests that, just as with any other demolition, explosive charges were placed on only a small percentage of the floors in the towers. Additionally, if Parry is going to claim that explosives cannot be used without wiring, he should first explain to the families of thousands of victims in Iraq how their loved ones could not possibly have been killed by improvised explosive devices ignited with cell phones. Here are some of the facts and evidence that Parry completely ignored when writing this new article about 9/11 and explosives at the WTC. The second major example that Parry provides, as proof that truth advocates have used “every imaginable example of false logic,” is that “truthers insist” no plane hit the Pentagon. However, even the smallest effort by an honest journalist would reveal that truth advocates do not insist upon that claim. Not even Wikipedia would make such an obviously false claim about the truth movement. In fact, there has been a well-publicized disagreement within the truth movement about what hit the Pentagon which originated with the claims and actions of Donald Rumsfeld and the seizure of videos by the FBI. Serious 9/11 researchers have pointed out, from the beginning of this debate, that the evidence surrounding Flight 77 and the Pentagon is far from conclusive. Why would a competent journalist like Robert Parry resort to such badly-researched exaggerations, which indicate that he has not looked into the evidence at all, even the evidence presented by his own friends and colleagues? The reason appears to be that Parry, like so many other professionals who have turned a blind eye toward 9/11 evidence, would die if he admitted that we are still largely unaware of what happened on September 11. That is, his ego would die if he had to admit that average Americans who have never been trained in journalism, or had any investigative training at all, are well ahead of him in terms of awareness about what is arguably the most important historical event of our lifetime. We have seen this kind of denial before, of course, and we know that there are psychological reasons for it. People who can draw such a hard line in their minds, between closely related concepts like blowback and managed blowback, are simply fooling themselves as they struggle to maintain their self-image. In that sense, we can see that it is actually Robert Parry who is playing a game — an ego game within the parlor of his own mind. Truth movement supporters are not immune to these kinds of games. In response to criticisms like that of Parry, truth advocates often resort to simple non-evidentiary reactions. Once a person takes a strong position for one aspect of research or another, they have the tendency to ignore evidence that opposes that viewpoint. Such reactions have been common in the debate about the Pentagon. Truth advocates have used another technique that plays into the ego game. This technique is the appeal to authority, in which we suggest that people should be impressed by how many PhDs we have on our side, or how many scientists, or how many engineers and architects. This is the same non-evidentiary approach that the official-line supporters took before they saw that the numbers were clearly in favor of truth advocates. Another example of how truth advocates often fall prey to psychological weaknesses, drawing us farther from the truth, is when they engage in doublethink about the importance of 9/11 truth. Some of the most respected 9/11 researchers are known to tell us that we have been lied to about what happened on 9/11, and that this fact is a means by which the war machine can be derailed, while at the same time these researchers deny that any response on the part of the war machine has been made. Some truth advocates still fail to recognize that we cannot have it both ways. Either what we’re doing is important and therefore a response will be necessary, or what we’re doing is not important. What kind of response would the war machine make? It seems entirely possible that propaganda efforts would be employed, much as they were employed by William Simon and Reagan’s office of disinformation described by Robert Parry. It is also very probable that the military and intelligence budgets that have been dramatically increased since 9/11 would allow for COINTELPRO-type infiltration of grassroots efforts like the truth movement. In fact, we know that such actions have been taken and have been recently exposed. We also know that at least one of President Obama’s appointees has openly called for the “cognitive infiltration” of 9/11 truth groups. Fetzer suddenly appeared on the 9/11 truth scene in late 2005, immediately after the publication of a paper by physicist Steven Jones. At that time, Fetzer wrote to many prominent truth advocates, saying – “Steve Jones and I would like to invite you to join us as members of a new society.” Having been known for some dubious contributions to the JFK assassination research community, Fetzer used this new association with Jones to thrust himself into a position of superficial leadership in the truth movement. Less than one year later, just before the 5th anniversary of the attacks when mainstream media attention was at its peak, Fetzer began speaking publicly about space beams destroying the WTC and other such nonsense. He continued with grandiose claims about theories which had no evidentiary support, as this excerpt from one of his radio shows indicates. What would cause a PhD to say that an unsubstantiated claim of space beams destroying the WTC was “the most fascinating development in the history of the study of 9/11” and that it was “huge?” Why was this claim more fascinating or huge than all the research previously published by the likes of Michael Ruppert, Daniel Hopsicker, David Ray Griffin, Steve Jones, Nafeez Ahmed, and Michel Chossudovsky? Was it because there was overwhelming evidence to support the space beams claim, and the use of space beams at the WTC would make a huge impact in achieving justice for the victims? No, none of that was true. There was no evidence for space beams at the WTC. Moreover, we soon found out that Fetzer’s colleagues could not even explain the physical principles by which this might work. False information like these claims did, however, turn many serious people away from 9/11 truth. The evidence we have suggests that Fetzer and his colleagues took the opportunity of the heightened mainstream media coverage around the 5th anniversary of 9/11 to engage in an evil parlor game of disruption, similar to the COINTELPRO operations of the past and the kind of “cognitive infiltration” supported by members of the Obama Administration. There is other evidence for this possibility, in that Fetzer is known to be an expert on the use and value of false information. One month before the attacks of 9/11, Fetzer presented a paper called “Information: Does it have to be true?” to a conference at Carnegie Mellon University. In this paper, Fetzer argues that false information (including disinformation) is just as meaningful as true information, implying that false information has just as much value as true information. The paper challenged the work of a professor at Oxford University by the name of Floridi, who like most honest people, contends that, since information is data that changes what we do, only true information that helps us respond to our world accurately and effectively has value. Facts and evidence indicate that the use of false information to derail the 9/11 truth movement is a reality, despite the inability of leading 9/11 researchers to admit such a possibility. With unsubstantiated claims of space beams, video fakery and holograms, Fetzer and his colleagues have taken advantage of the fact that many Americans are scientifically illiterate. 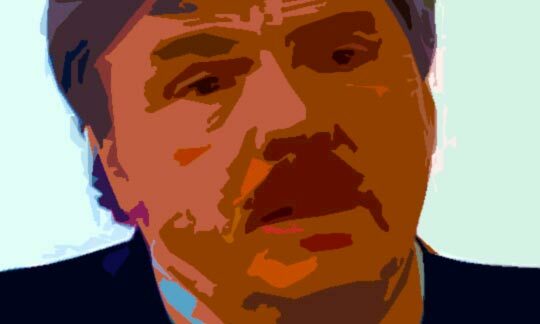 These evil parlor games give influential professionals like Robert Parry, who are already psychologically challenged and fearful of the topic, additional reason to ignore all the evidence and spout off about the issues with little or no understanding. Apart from Parry’s total disregard for evidence and his attacks against “truther” straw men, his hit piece against 9/11 truth is filled with blatant falsehoods. Examples include his new, personal theory of “atrium failure” at WTC7, his claim that no one took airliner impact into account in the design of the towers (which the towers’ design engineer, John Skilling, did), and his claim that “much residue found after a major fire can be consistent with thermite.” Unfortunately, for Parry, it’s not really important what is true because it’s all become just a game. The tenth anniversary of 9/11 is fast approaching and we can expect much of the same kind of games and disruption that we saw around the fifth anniversary, especially considering the calls for such disruption from within the Obama Administration. The combination of emotionally-charged, evidence-allergic “journalism” from people like Robert Parry, and the continued support of known purveyors of false information like Jim Fetzer, gives the national discussion about 9/11 truth the potential to become an absurd theater of the damned. Let’s hope that the audience sees through such theatrics and, in spite of the parlor game players, takes the time to consider facts and evidence.